By iGear, their Leather Watch strap for the 38mm Apple Watch. 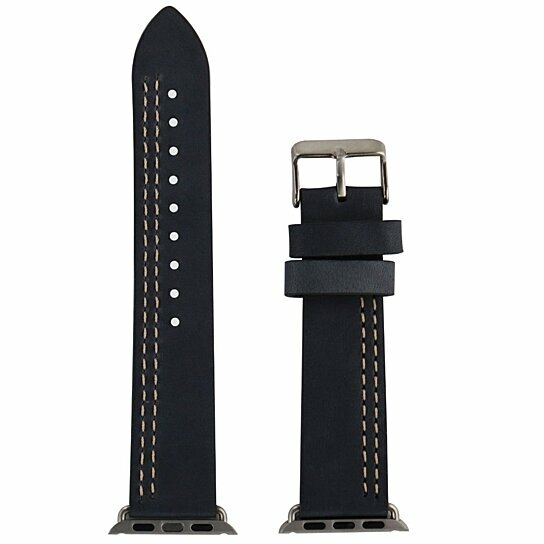 This strap comes with a gray Slate colored leather adjustable strap and a silver classic style buckle. Model: 38AWSLCRSI Features: - Compatible with the Apple Watch 38mm including Apple watch edition and Apple watch sport models for a precise fit - Leather material offers durability and comfort - Allows you to personalize the look of your watch.